Predict, ask questions, visualize, infer, determine importance, analyze and make connections! 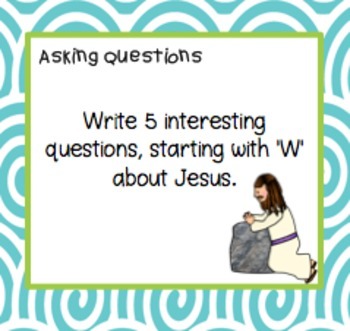 7 key comprehension strategies that have been integrated to help your students develop a deeper understanding of Jesus. 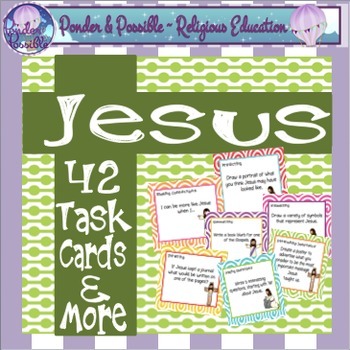 Designed to stand alone or as part of your reading program, these 42 student task cards require your students to read, reflect, interpret and evaluate. 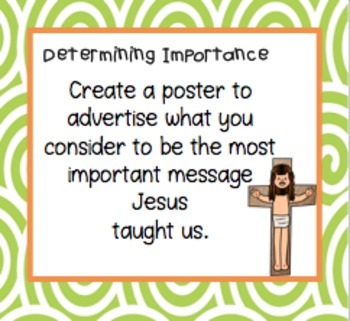 Drawing on prior knowledge of Jesus, or as a comprehension tool for a unit of work on Jesus, your students will be challenged to respond in a variety of ways. 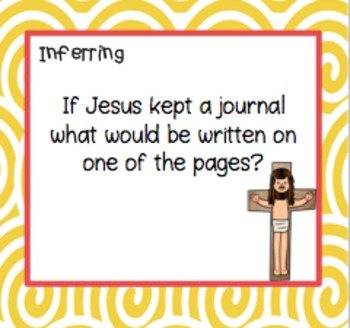 Also included are worksheets that allow your students to record the task that they are completing, with their response. Thank you for viewing my product. Please visit my store ‘Ponder & Possible’ for further Religious Education resources, by clicking on the links below.